IBGE, the Brazilian bureau of statistics, has just released the 2008 edition of its National Survey by Household Sampling (PNAD), a reduced version of the census. The statistics published today highlight the state of the country’s health. * 77.3% of the interviewees consider themselves healthy or very healthy (this percentage is higher in the upper classes). Only 3.8% said their health was bad or very bad. * On the other hand, 11.2 million people over 14 informed they have physical limitations. For them, it is difficult to walk 100 meters (328 feet) or to go to the bathroom by themselves. This is a slightly growing trend that affects 7.5% of all men and 9.1% of women. Among the elder population, 27% face that type of restriction. * 26.3% had a private health plan (either paid by themselves or their employers). But note this: while 35.6% of the families in the Southeast (region that includes Rio and São Paulo) and 30% of those in the South have access to private health, only 13.3% of the population of the Northeast (Bahia, Pernambuco and other states) and 13.2% in the North (that includes the Amazon region) had that benefit. * 88.5% visited the dentist at least once in their lives. * Only 73.2% of those who drive or use the front passenger seat wear a seat belt. 4.8 million people were involved in some traffic accident in 2008. The same survey shows that 53.5% of Brazilian blacks and 47.3% of those with a mixed black and white heritage belong now to the middle class (which includes the so-called A, B and C classes). According to economist Marcelo Neri, interviewed this week by daily O Estado de S. Paulo, these numbers show a very positive evolution in the last 15 years. In 1993, less than a quarter of the blacks (23.8%) and just a little over one fifth of those with mixed heritages (21.7%) were in the middle and upper classes. Also, he verified that the mobility of whites in this period was, in comparison, less accentuated. Neri, who works for the Centro de Políticas Sociais of Fundação Getúlio Vargas (a respected university and think tank), based his info in data collected in the 2008 edition of PNAD, a reduced version of the census, with a limited sample of interviews, produced by IBGE, the federal bureau of statistics. Naturally, we can argue that the PNAD – which asks the interviewees to define their own color – may be misguided by those who prefer to see themselves as whiter than they effectively are. Census interviewers have been reporting for decades that many people refuse to be classified as blacks, preferring to state that they are tanned or morenos (a word with a slightly vague meaning, that normally applies for a brunette or maybe someone of Mediterranean origin). But, if that is the case, there is a good chance the presence of blacks in the middle classes might be even higher. The slow ascension of the Afro-descendants is still very far from solving the Brazilian disparities, but it deserves to be celebrated, anyway. Brazilian born, French citizen, married to an American, Regina Scharf is the ultimate globetrotter. She graduated in Biology and Journalism from USP (Universidade de São Paulo) and has worked for Folha de S. Paulo, Gazeta Mercantil and Veja magazine as well as Radio France Internationale. Since 2004 she has lived in Santa Fe, New Mexico, in the US. She authored or co-authored several books in Portuguese on environmental issues and was honored by the 2002 Reuters-IUCN Press award for Latin America and by the 2004 Prêmio Ethos. 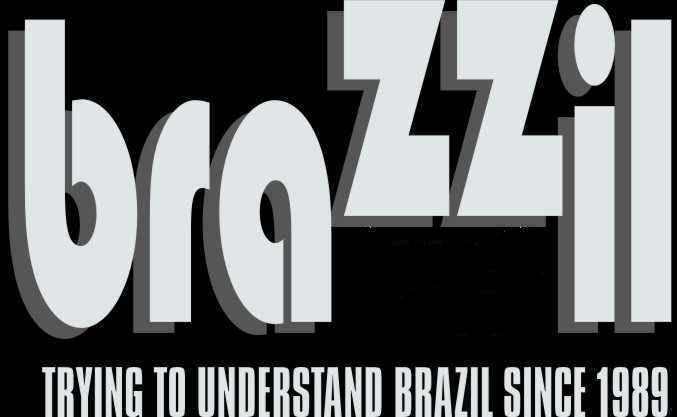 You can read more by her at Deep Brazil – www.deepbrazil.com.